Two hundred years ago today Lord Byron wrote a brief, untitled Gothic fragment that is now known as ‘Augustus Darvell’, the name of its central character. The most famous author in the world at the time, Byron produced the tale when he was living at the Villa Diodati, on the shores of Lake Geneva, and in the daily company of Percy Bysshe Shelley, Mary Godwin (the future Mary Shelley), and John Polidori, Byron’s personal physician. Thomas De Quincey produced two versions of his most famous work, Confessions of an English Opium-Eater. He launched himself to fame with the first version, which appeared in two instalments in the London Magazine for September and October 1821, and which created such a sensation that the London’s editors issued it again the following year in book form. 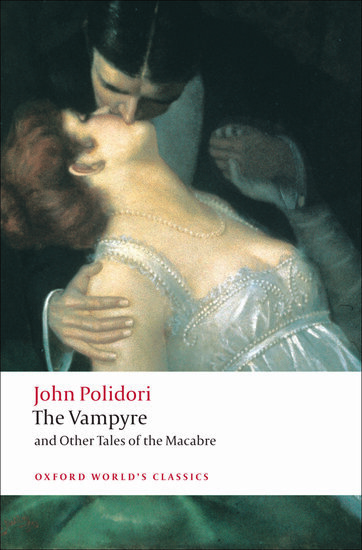 “The ghost-stories are begun by all but me,” John William Polidori wrote from Geneva on 17 June 1816 as one of five participants in perhaps the most famous literary competition of all time. Polidori was the handsome, arrogant, and often quick-tempered outsider in a group that also included Percy Shelley, radical poet and thinker, and a married man; his lover, Mary Godwin, the only child of the philosopher William Godwin and the passionate advocate of women’s rights, Mary Wollstonecraft; Lord Byron, the most celebrated (and then notorious) literary figure of the age; and Claire Clairmont, Mary’s step-sister and Byron’s newest mistress.